The storyline of Wii Family Feud, from Ubisoft is not that great. It’s based on the game from television. It does follow the plot of the game show. The first thing that you have to do is create the player for your game. The game loads into a design area where you can make your character look like yourself or any other person. Dress them and load the game. Once in the game it follows the television show. It even has the music from the show. You will be amazed at how fun it really can be as you go through the game and advance to the next level. You play against another family that is generated by the game. It is fairly simple to understand. It is reviewed as a 2 out of 5 because it really could have added something more to the game than just designing your characters. It is a simple game. That's why it gets this rating. The Game play of the game is perfect for a family fun night on the Wii. It would have been nice to be able to use your Mii in the game. That isn't part of the plan though for the Wii Family Feud game. You create a character from scratch. The interaction of the game is solid with each section loading, as you would expect. It even requires you to answer in a certain time frame. Which is really fun. It adds an element of fun to the whole thing. When you complete the first round you advance to the next show just like on the real show. The music matches the rounds as you complete each level. The announcer sounds authentic. When you play this game with your family, you come away from it feeling like you were in the excitement of the game. It receives a 2 out of 5. That is because it needs some work. There is always room for improvement. This game could use some of that. The graphics are decent for the game. This version on the Wii console is the best that I have seen yet to date. Ubisoft, the maker of the game didn't do us any favors by improving the gameplay, but they did a decent job to make it very fun. It looks best on a 32-inch television screen. The larger televisions are not able to do this game justice. The smallest old tube televisions really fail the graphics of this game. The Wii Family Feud game is only about to be reviewed as a 2 out of 5. The sound quality of this game is decent. It isn't anything to get excited about. For this reason it is being reviewed as a 1 out of 5. Given the tradition of the game show and the songs that everyone that is a fan of the game loves, they really could have improved the sound more. The music, sound effects and interaction of the players would have helped make the game better. It just isn't all that good. The age appropriateness of this game is solid. It is rated at an age that works for families. Your child can play this game alone with no issues. It doesn't matter if you have a group, a part, family or just one child. Wii Family Feud works for a night of family fun. Your child or yourself can play alone as well. Then you play against the computer. This review gives it a 5 out of 5 for the age appropriateness of the game. The user interface and controls are perfect in this game. The Wii Family Feud is better than any predecessor yet to date. It offers a quick response time so you can interact with the game, as you would if you were actually playing the game live. It's really good. Prior editions seriously lacked this aspect. It seems Ubisoft has finally made some improvements. This Wii Family Feud review gives this game a 4 out of 5. 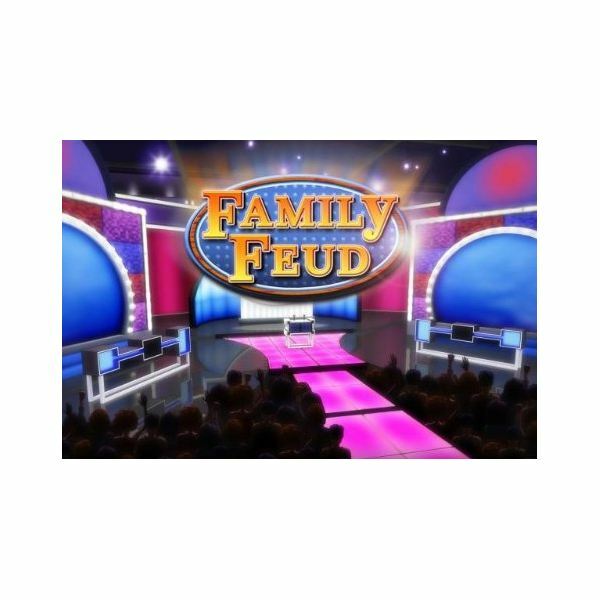 It is a fun family game for anyone that enjoys competition and Family Feud. It is greatly improved upon by other versions. Ubisoft did the game justice with this Wii version. 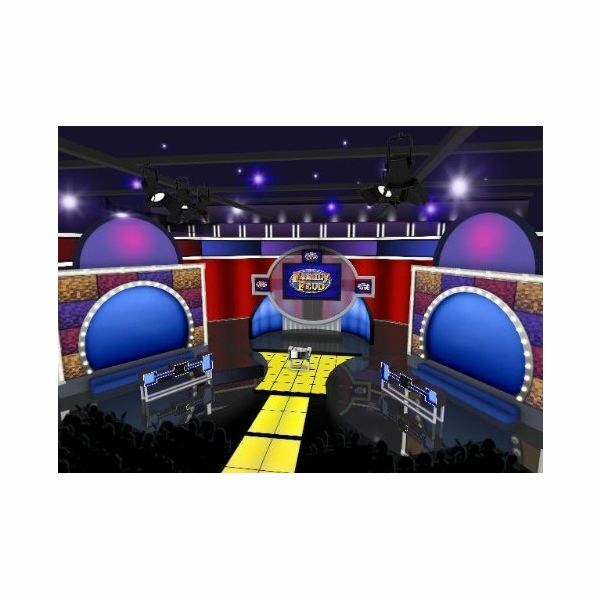 It works very well and allows the player to feel as though they are part of the game show. Even the timer is up and ready to go. In fact, make sure that any group play is paying attention. The game does not wait for you. The game play is similar to the real game show. The user interface/ controls are excellent. The age appropriateness is perfect for children. The storyline needs some help. The game play could be better. The sound is decent but requires some improvement as well.